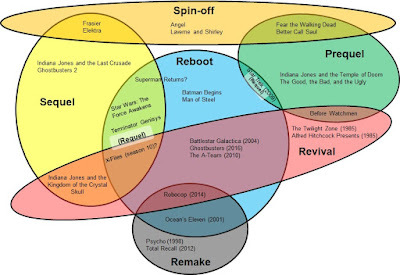 You know how sometimes you just feel like making a Venn diagram about something trivial? I felt that way earlier today. No real rhyme or reason to the examples I chose. Maybe someday I'll get really ambitious and try to fill out each section more completely. 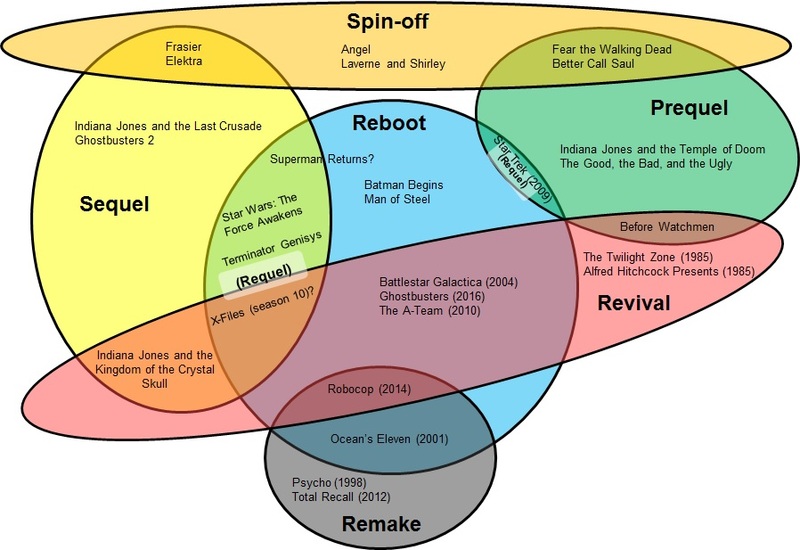 I'm not quite sure where Superman Returns should go on here. I am pretty sure this was just another one of my procrastination tricks. I'd love any feedback you have, though! Love a good Venn diagram. For me, Superman Returns was a sequel/revival, rather than a reboot, as it was clearly (?) meant to revive the wonderful Christopher Reeve version of Superman.